Human Transit: If a carpenter can’t be a hammer opponent, then I can’t be a streetcar opponent. Just going to set this here. I have been strongly influenced by Mr Walker’s writing and usually agree with him on most issues including this one. And just because I got him to sign a copy of his book doesn’t mean I’m a fanboy. 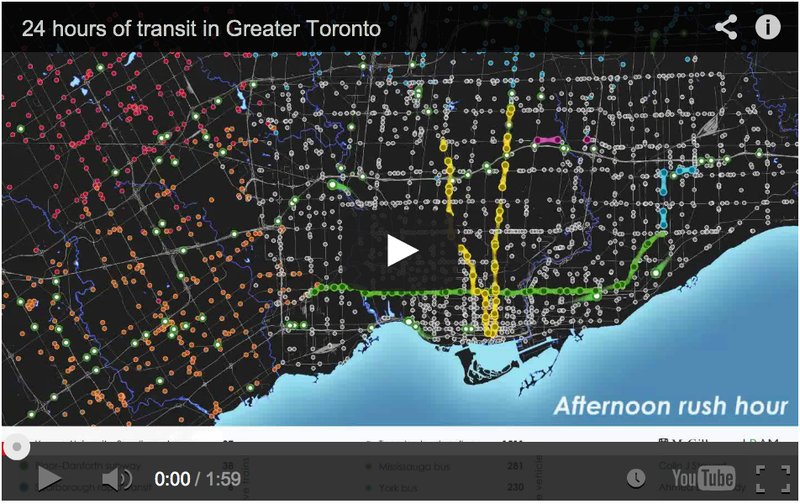 Article: 24 hours of transit in Greater Toronto (visualization). If you look at the related vids when this is done, McGill’s +ram has also done one for Montréal’s STM.